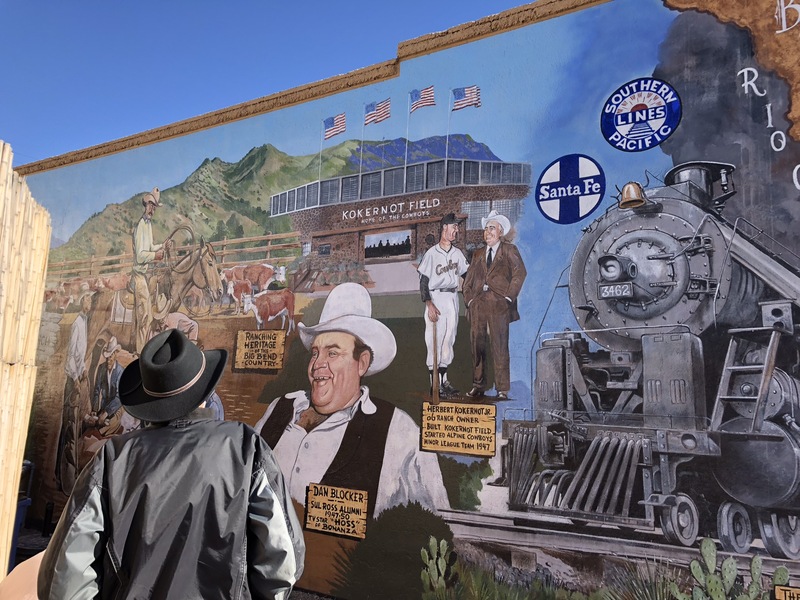 To delay our rentry, we decided to go from the alpine-like atmosphere of Bisbee, AZ (and although it was a bit out of the way) spend a few days in Alpine, a town in far-West Texas. We discovered a great RV park there (The Lost Alaskan) when I broke my wrist in Big Bend two years ago as a result of of our little motorcycle mishap. Not one to let a little thing like that keep me from enjoying myself, I looked forward to returning to the area. It’s the part of Texas I love best! 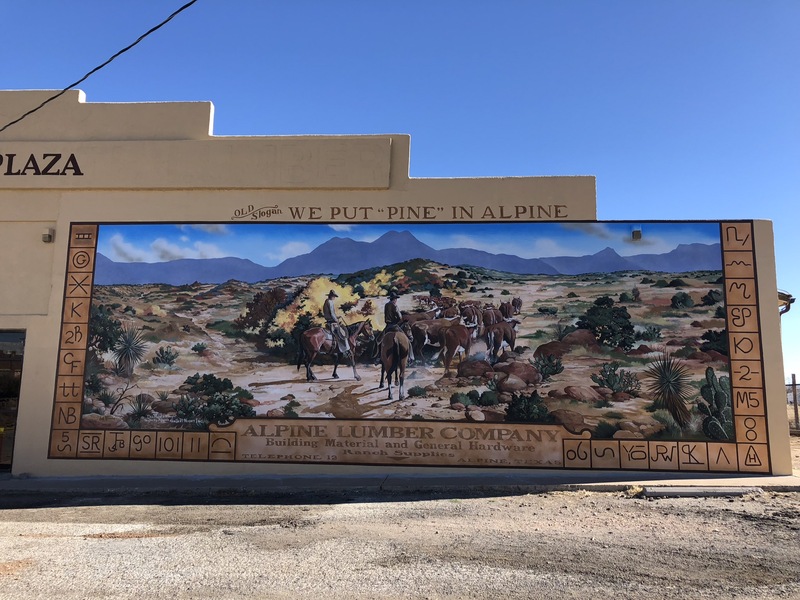 For a tiny town, Alpine has a lot going for it: with a population of more than 6,000 it’s the biggest town in the region, it resides in Brewster County, which is bigger than both Delaware and Connecticut! 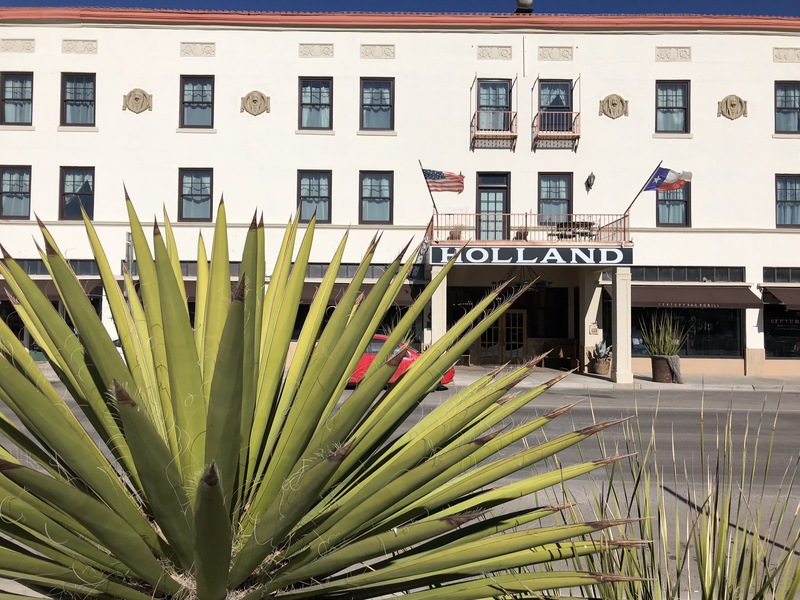 It has an Amtrak station across the street from the gorgeous, old Holland Hotel. Sul Ross University is perched on a hillside overlooking downtown. 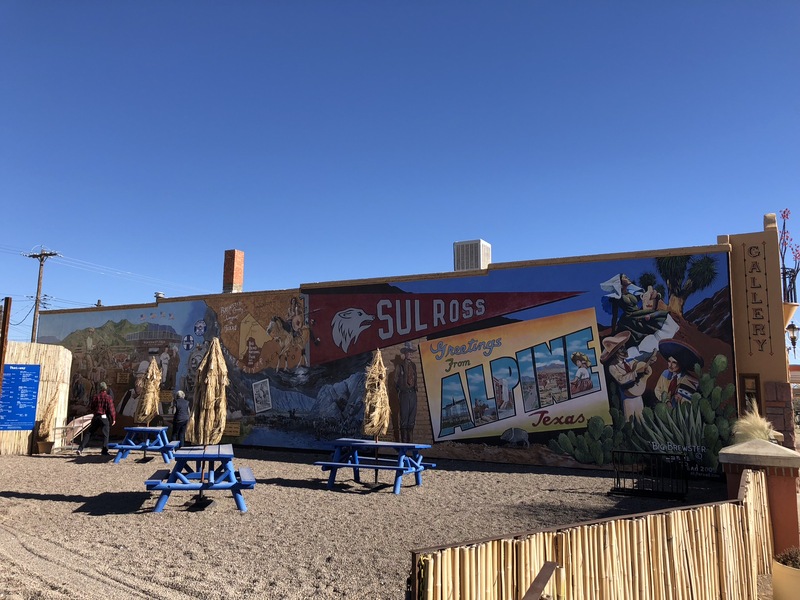 There are a couple of good restaurants, art galleries, fabulous murals, and a we found a trendy new bakery and a coffee shop. All of this in a valley ringed by both the Davis and Glass mountains. 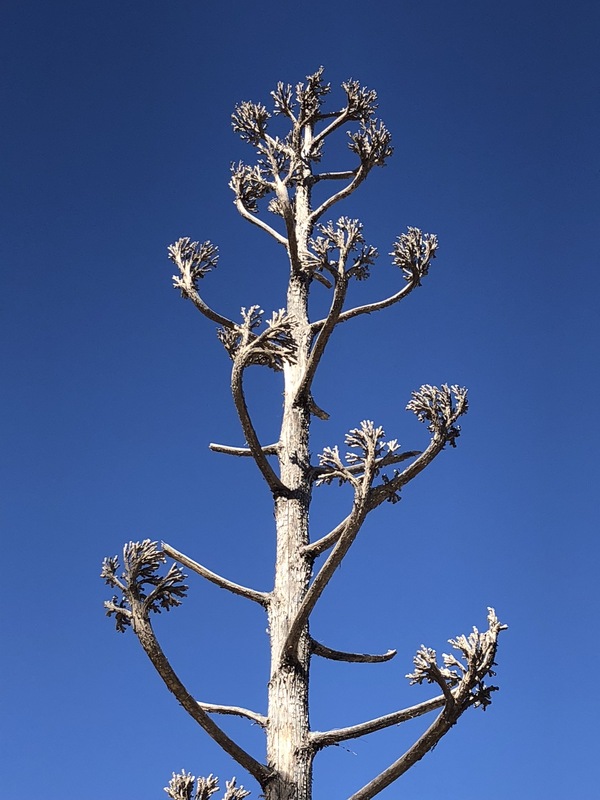 It’s high-desert climate is an ideal escape during hot Texas summers, and it’s not far from Marathon, Marfa, and Fort Davis. 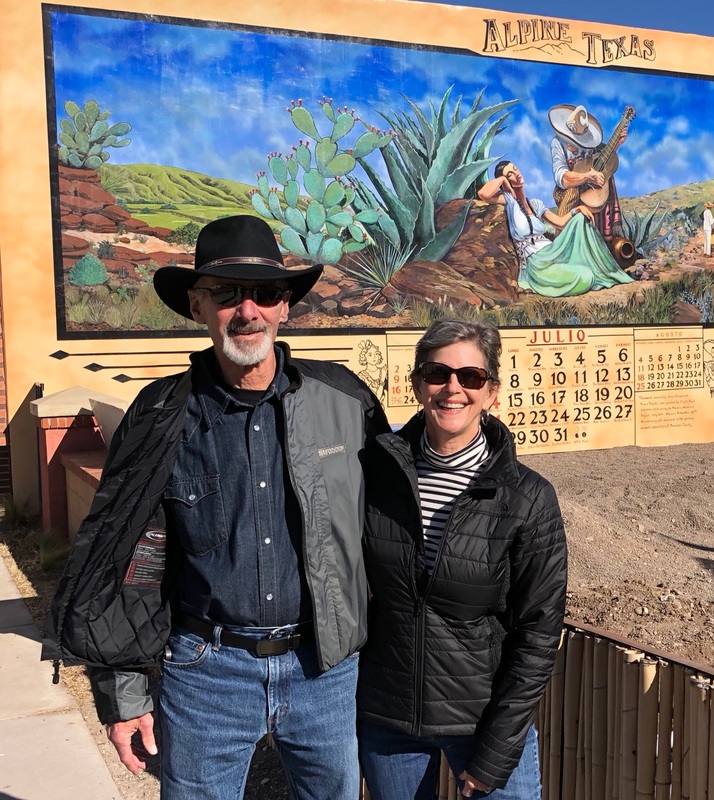 It’s a longer drive, but a great jumping-off point to head south to Terlingua and Big Bend National Park. It was chilly, but sunny while we were there, and one morning after breakfast we walked all over town looking at murals by Stylle Read, and window shopping. A couple of days later we drove the 30 miles over to Marathon to have dinner and a drink at The Gage Hotel’s White Buffalo Bar. 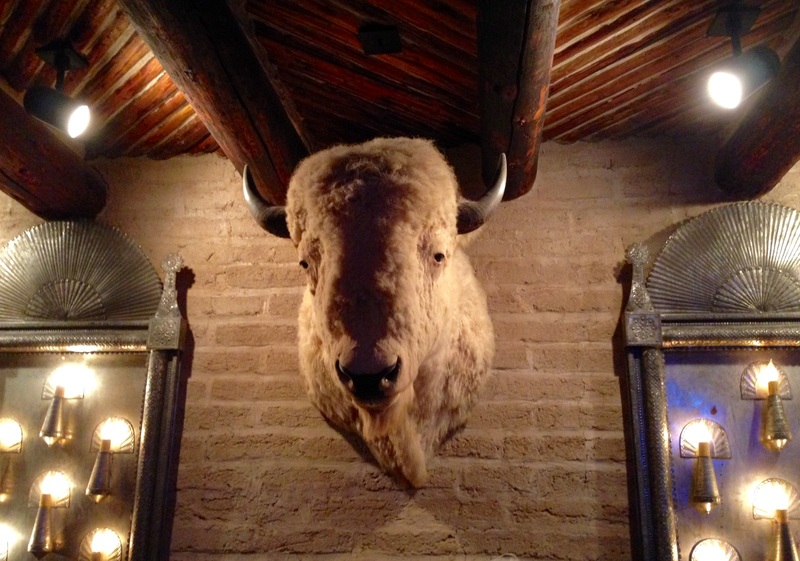 Feeling a bit guilty as the white buffalo watched over us, we chose to eat at the bar – and both ordered a buffalo burger and a Dirty Martini made with Tito’s TX vodka. I was really surprised by how moist, tender, and flavorful my burger was, and how much I enjoyed it! 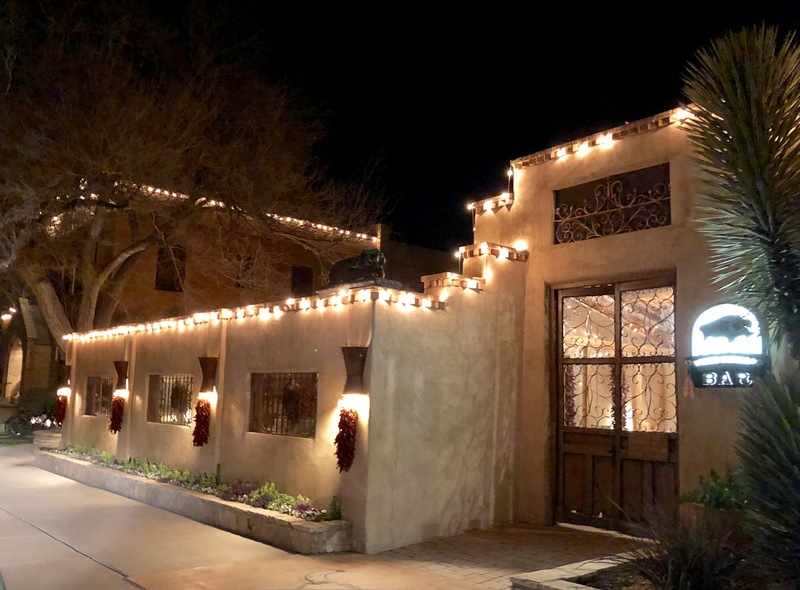 After dinner we strolled the grounds of The Gage, which was still dressed in holiday lights. As we admired the constellations above us, and the stucco walls glittering before us, my sweetie enjoyed a fine cigar before heading home. The 30-mile return trip on a road illuminated only by your headlights and a sky full of stars, takes much longer… all manner of nocturnal critters move about after sunset: javelinas, coyotes, deer and antelope (no playing in the road, guys!) foxes, mountain lions, tarantulas, and big snakes, which like to warm themselves on the blacktop. 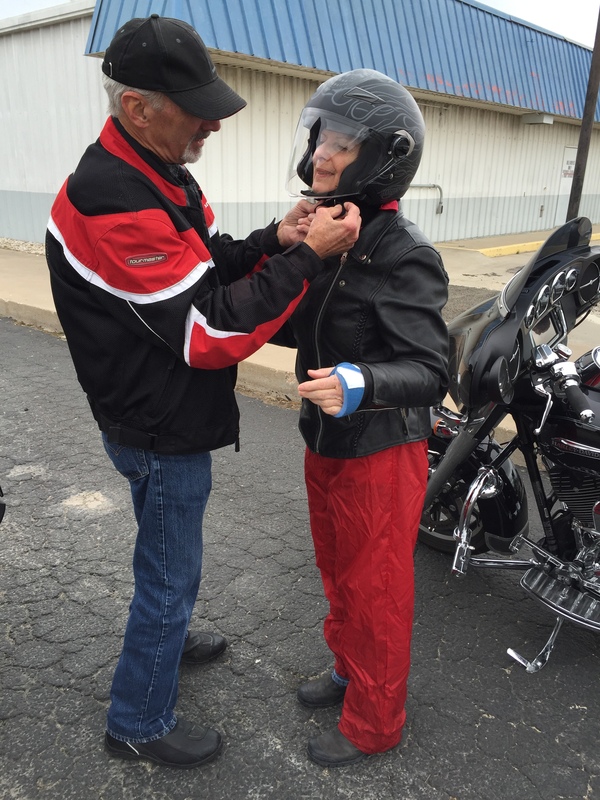 But the most dangerous of all is a State Trooper or a sheriff, neither of whom take kindly to speeding out here. That’s no problem for me because I automatically slow down… body-mind-and-spirit when I’m here. Although I still didn’t want to return to Austin, this final leg of the trip definitely softened the blow.